S’mores Dipping Squares – Chocolate and peanut butter graham squares with a marshmallow cream dip! We just got back from our cruise yesterday and I’m neck deep in dirty laundry today! It was all worth it, though. Completely worth it. More posts on our adventures to come! On the airplane, flying home, I started looking at my planner and my schedule for this week, and gasped when I realized the 4th of July is just around the corner! While what I’m sharing today isn’t red, white and blue, these S’mores Dipping Squares are the perfect Independence Day treat. Okay, who am I kidding. . .these squares are delicious WHENEVER and WHEREVER you make them. If you can use the microwave, you can make these squares. 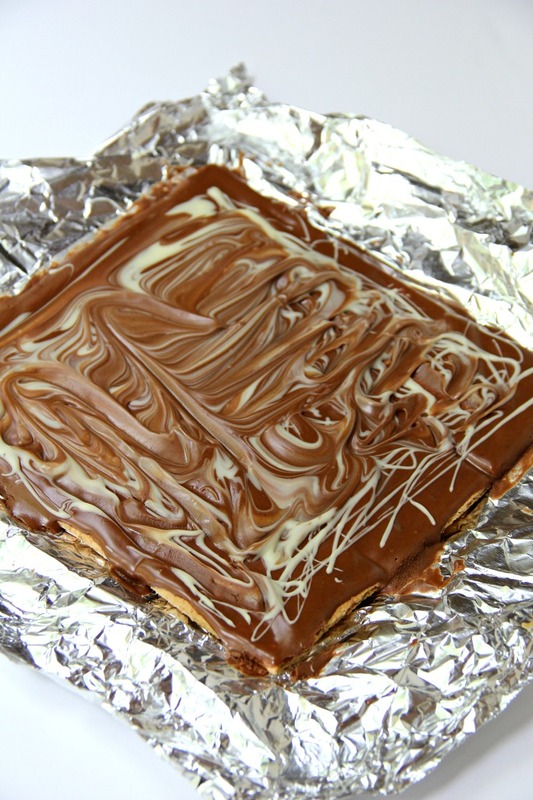 I lined a 9×9″ pan with foil and covered the bottom of the pan with 9 graham cracker squares. I melted some chocolate in the microwave and spread it over the layer of graham crackers. Then, I microwaved some white chocolate and drizzled it over the chocolate layer. After about an hour in the fridge, these pre-portioned squares are ready! My recommendation would be to break the squares apart immediately after you take them out of the fridge. The chocolate breaks nicely and you’re less likely to leave fingerprints in the squares. 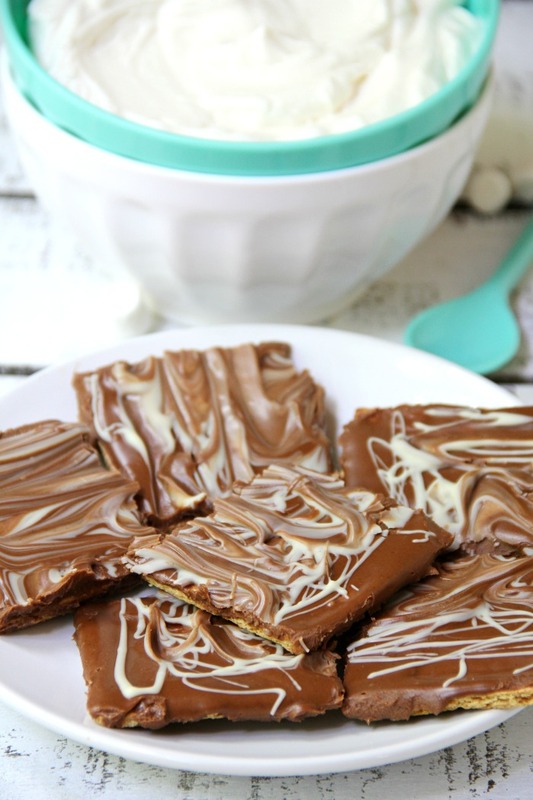 I’m all about these S’mores Dipping Squares. Did I mention that the campfire is optional? I mean, you can eat these around a campfire, but you certainly don’t need one to prepare the squares. You don’t need a fire to prepare these caramel apple s’mores treats either! 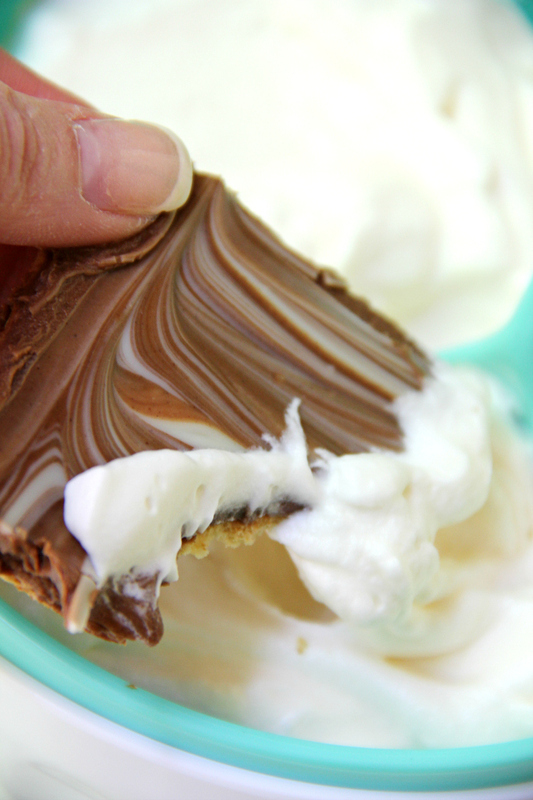 What you DO need – since this is a s’mores recipe – is the marshmallow! And boy do I have some yummy marshmallow cream for you to dip these little squares into! It’s only three ingredients and so simple to make. 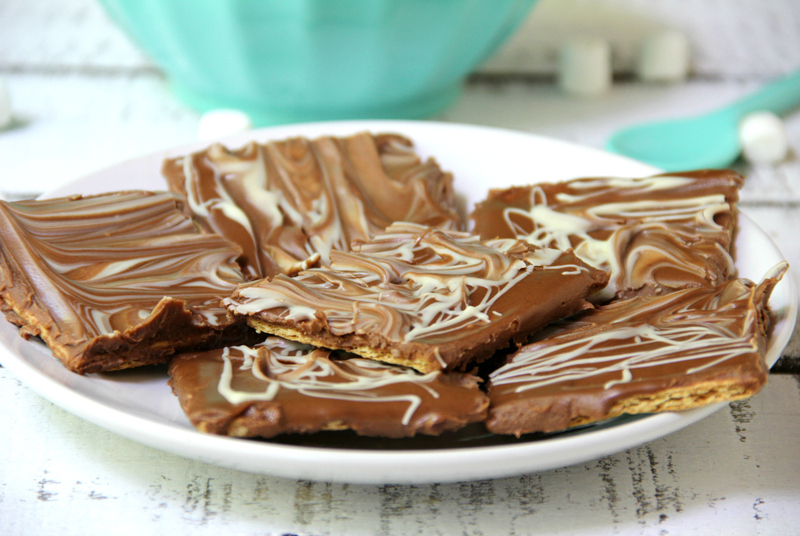 Easier than the S’mores Dipping Squares, folks. I mean, how delicious does that look? Ready to watch me dip? Watch me nae nae. Watch me dip, dip. . .okay, I’ll stop. Just watch this. Yum, I think I could eat this marshmallow cream on just about anything. And you should, too. Try these squares this summer. Those who you share them with will love you for it. Promise. Line a 9×9 inch baking dish with foil. Arrange the graham crackers on the bottom of the dish. Microwave semi-sweet chocolate and peanut butter in a microwaveable bowl for 30 second intervals or until melted. Stir well and pour over graham crackers. 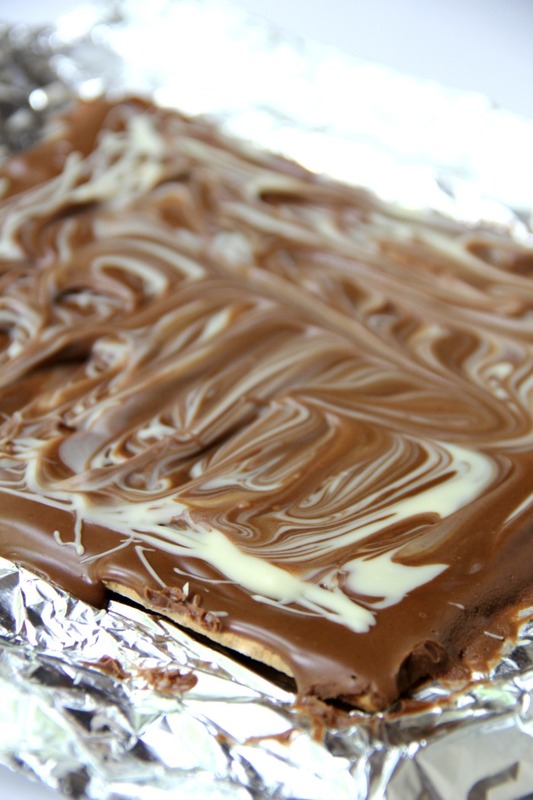 Use a spatula to spread the chocolate out so it covers the crackers completely. 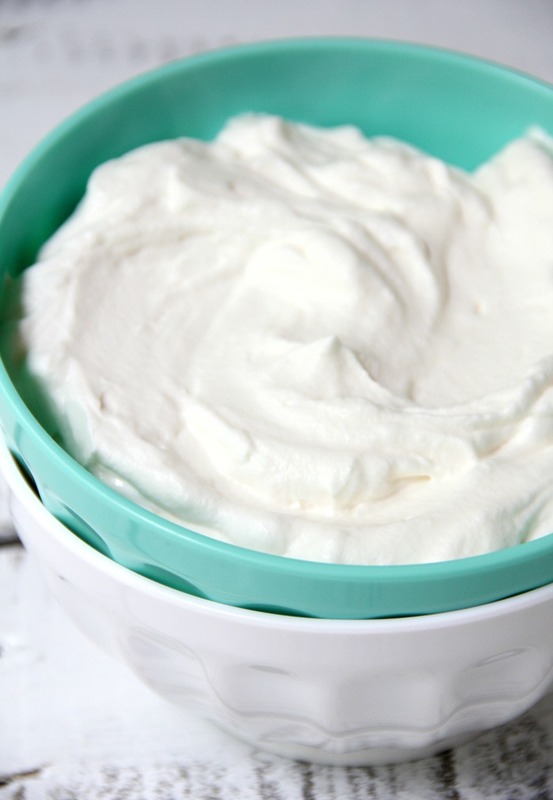 Microwave the white chocolate the same way and drizzle over the first chocolate layer. 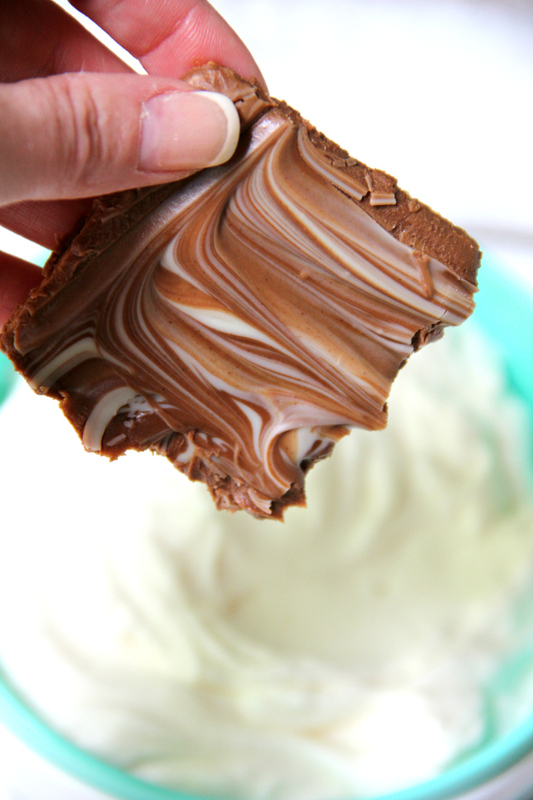 Cut through the chocolate a few times for a marbling effect. If you just want to keep the drizzled look, that’s okay too! Refrigerate at least an hour. Lift foil out of pan and break bars into original squares. Store tightly covered in the refrigerator. Beat the heavy whipping cream until peaks begin to form. Add the marshmallow fluff and vanilla extract. Continue whipping at high speed until all is combined. Dip the graham squares into the marshmallow cream.